How effective is the solution at detecting water leaking onto servers/floor/ceiling? How much does the solution cost per square meter? How easily and quickly can the solution be integrated into our existing Nagios monitoring system? 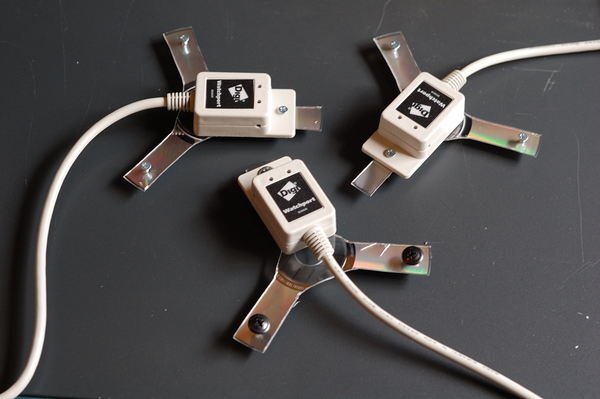 I reviewed one solution which used water-sensing tiles which would sit on top of existing ceiling tiles, and had thin, water sensing cables for deployment on a floor. This solution was absolutely the most effective out of the products I looked at. Only one huge problem – a huge price tag! If you have the money, these types of sensors will probably give you the most visibility into water leaks. The price was not right, though. I was asked to look into lower-cost products after presenting the tiles/cables solution. It was here that I found that Watchguard, as well as several other manufacturers, made small, localized leak detectors. Being familiar with writing plugins for Watchguard, and with Watchguard’s water sensor being the cheapest in this category, I decided to go with their Watchport/W sensor. For the plugin I decided on Python. I like Python’s serial library more than Perl’s. On Windows, Perl’s Win32::SerialPort library requires a convoluted and an, in my opinion, annoying-to-generate config file. I also had trouble with serial communication in general working with the water sensor when I began writing the plugin with Perl. Conversely, Python’s PySerial library seems to be a much more direct interface with the serial port and with C’s serial functionality, and doesn’t require a config file on Windows. -t or –timeout let you specify a timeout for the serial port read. If you are testing a lot with this plugin and expect to receive timeouts, setting this low is convenient. And there you have it! Hopefully this helps someone keep tabs on a problem A/C unit or pipe, or catch an unforeseen leak. I have several of these scattered on the floor in each of our server rooms. Please leave me some feedback if you have any suggestions or questions. Thanks for reading!